The pre-Cataclysm lull has made my beloved WoW start to drag a little of late. I’ve done pretty much done everything there is to do. So I have set myself a challenge to experience every starter zone in WoW, starting with the strange (and slightly smelly) Alliance races that as a Horde-fanatic are completely unfamiliar to me. 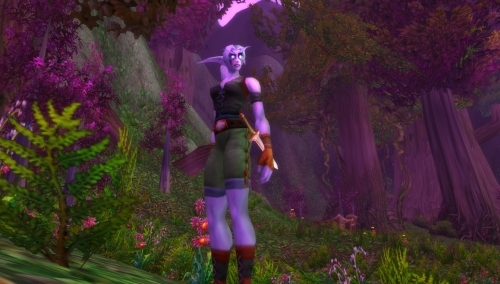 Having been dismayed by the hypocrisy and flimsy morals displayed by Humans, I was really hoping for something more impressive from my next character: a Night Elf.